"The Science department at SAC strives to develop life-long learners who are interested in understanding the world around them, are capable of generating their own questions, and have the skill set to find their own answers." A comprehensive science background will ensure that our students are able to make informed choices and be positive contributors to the challenges of society that science can help solve. All science students receive a broad program of science topics with an emphasis on its impact on modern technology, business, and ethical and social issues. We aim to develop both awareness of the principles of science, and practical skill at scientific thinking and analysis. For those intending to pursue science or a related field, our senior courses present more rigorous and demanding challenges that will prepare students both for university and for a life-long pursuit of the goals of science. Classes and labs afford students an opportunity for creative exploration and discovery, in-depth analysis, and understanding and ethical application. continually provide the best available technology and science equipment that supports the needs of our students. Science is a human process of exploration and explanation. While it is built on facts and observations, it is much more than just these. A combination of reasoning, mathematics and measurement, and an innate desire to expand our understanding enables humankind to build the most profound structures of knowledge. 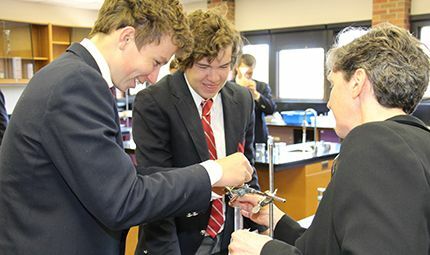 At St. Andrew's College we recognize that, while not all our students are going into science as a career, all human activities are enriched by an understanding and experience of science. We strive to give our students much more than just a set of facts, but an active experience based on an understanding of the various areas, techniques, and principles of scientific inquiry. Science should be engaging, challenging, interesting, and fun. Through a variety of hands-on tasks, we bring all these into our science classrooms. All science courses up to grade 11 are broadly based survey courses in which a variety of topics are studied. 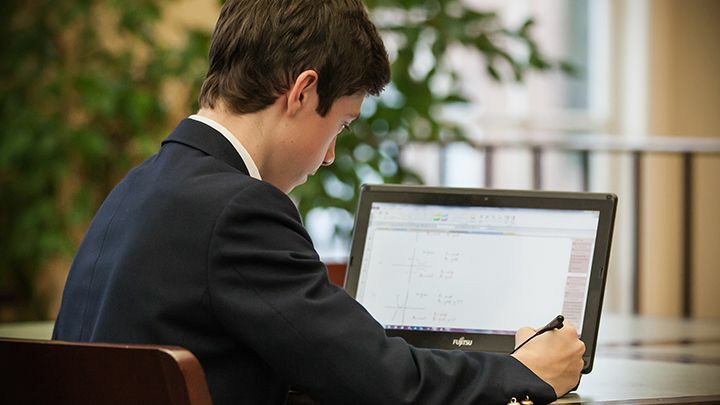 From grade 11 onwards students choose to focus more intently on individual disciplines. All of our courses meet and exceed the requirements of the Ontario Ministry of Education. Students have the option of taking Advanced Placement exams in their final years. Our students have historically done exceptionally well on AP Exams. Our Lab Curriculum is the Best for Boys! With a highly skilled lab technician and top notch equipment, we are able to provide a wide variety of first-rate lab experiences for our boys. 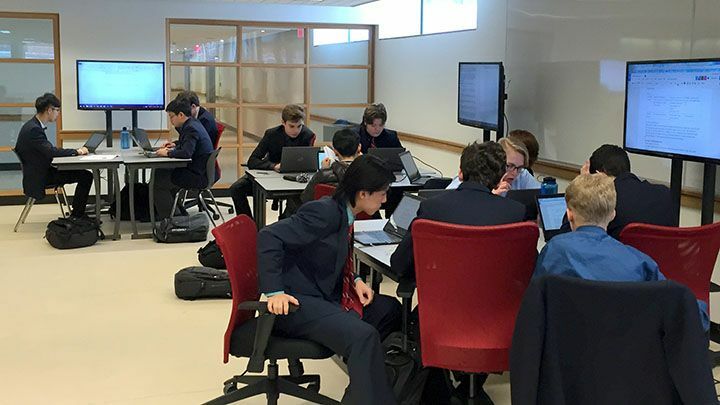 Unlike some schools, we offer the full set of AP chemistry and biology labs, and all science courses are based around experiential and active learning, offering the hands-on experiences boys need to be fully engaged in the learning process. This course provides students with the fundamental knowledge of, and skills relating to, environmental science that will help them succeed in life after secondary school. Students will explore a range of topics, including the role of science in addressing contemporary environmental challenges; the impact of the environment on human health; sustainable agriculture and forestry; the reduction and management of waste; and the conservation of energy. Students will increase their scientific and environmental literacy and examine the interrelationships between science, the environment, and society in a variety of areas. This course is intended for students who do not wish to pursue studies in science beyond grade 11. This course provides students with the opportunity for in-depth study of the concepts and processes associated with biological systems. Students will study theory and conduct investigations in the areas of biochemistry, metabolic processes, molecular genetics, homeostasis, evolution, and population dynamics. Emphasis will be placed on the achievement of the detailed knowledge and refined skills needed for further study in various branches of the life sciences and related fields. Advanced Placement (AP): With departmental approval students may elect to prepare for an AP exam related to this course. This course will be taught in conjunction with the College Board’s Advanced Placement curriculum. Recommended minimum average in most recently completed science course (SNC2D) is >85%, and, in the opinion of the teacher(s) has demonstrated motivation, conscientiousness, resilience, effective time management, the ability to prioritize, and the capacity to learn independently. SAC recommended preparation: greater than or equal to 70% in SCH3U. Recommended minimum average in most recently completed science course (SCH3U/P) >85% and, in the opinion of the teacher(s) has demonstrated motivation, conscientiousness, resilience, effective time management, the ability to prioritize, and the capacity to learn independently. This course develops students’ understanding of the basic concepts of physics. Students will explore kinematics, with an emphasis on linear motion; different kinds of forces; energy transformations; the properties of mechanical waves and sound; and electricity and magnetism. They will enhance their scientific investigation skills as they test laws of physics. In addition, they will analyse the interrelationships between physics and technology, and consider the impact of technological applications of physics on society and the environment. Introductory Physics is of interest to any student who wishes to go in the sciences or engineering, or for those who are interested in modern technology and want to know “how it works”. The course takes a rigorous mathematical approach that prepares students for science and engineering at university, but is also for any student with a good math background who wishes to investigate some of the “big questions” about our universe. Recommended preparation: SNC2D and demonstrated interest and excellence in science, an interview is required before approval will be granted. This course is offered to students who intend to study the sciences (or related fields such as medicine, engineering, or architecture) in university. Students may take this course in either gr. 11 or gr. 12. It is recommended that students planning on using this course to further university entrance take it in their gr. 11 year as this will permit a complete reference to be given. Students must have at least one spare period available on their timetable. A completely student driven course, each student picks his own topic of interest and, working in conjunction with a science teacher and our lab technician, performs the necessary research and hands-on laboratory work. The grading of the course takes place through journals, written submissions, and one-on-one interviews with supporting teacher(s).